Every individual call centre has its own vibe – from the moment you walk in, you can feel the energy and enthusiasm. 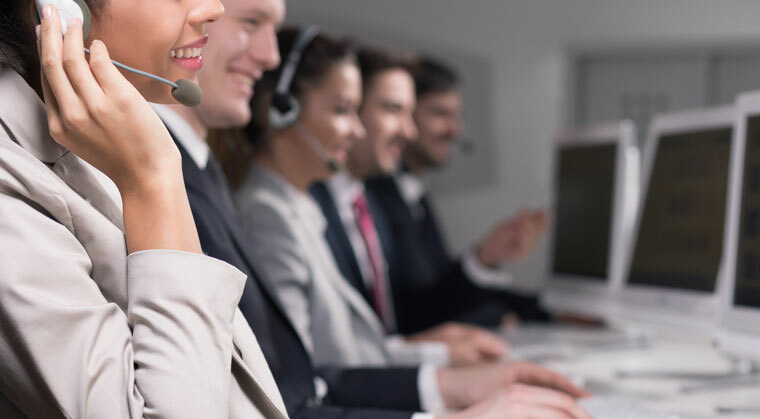 If you sense a different mood altogether, it’s a big problem, not only for daily client sales targets but for the success of the call centre in the long term. There’s a strong connection between employees and success – your people power growth. But attrition, already high on the agenda for call centres, is a hindrance to any company trying to expand. The cost of replacing experienced staff is a burden on profits: an Oxford Economics report* concluded that the bill for replacing a single member of staff is more than £30,000 (USD $44,000) in time, recruitment, training and productivity. But the fact is, if we can make people happier, they will stay and they will perform well. If staff feel loved and valued, they will take responsibility for their own continuous high performance and think twice about leaving. What are the top hiring companies doing? Internationally, the picture is familiar. A recent monthly report from the United States Bureau of Labor Statistics** showed that workers aged 20-24 stay with an employer on average 1.1 years, while workers aged 25-34 stay 2.7 years; in both cases, this is less time than they would have remained with an employer in the 80s and 90s, and call centre staff spend even less time at the same place. On this side of the Atlantic, a Scottish call centre claimed to become the first stand-alone call centre in the UK to pay its employees a voluntary Living Wage from New Year’s Day. It’s a savvy introduction that could combat high staff turnover, and timely because January is a month when employees are struggling to overcome post-festive winter ennui by browsing for new jobs. This Living Wage – which is more than the government’s National Living Wage that came into in April – could see the basic salary become a powerful defence against the issue of continuous leakage of talent. The Scottish company, VOCA Telemarketing, is looking to create more jobs in the first quarter of 2016, and a healthy basic salary arguably fosters employee loyalty (retention) and overall performance (growth). Perks like desk massages and Family Fun Days! This is all about the quality of the job – a job that is a career, and which takes place within a positive culture where employees are – and feel – valued. These tactics raise two important questions, though. Call centres are no ordinary employment sector: is the high level of attrition so easy to rein in? Are these measures enough? If all call centres are trying to address the same issue of attrition, how is it possible to become, and remain, a top employer and a thriving company? On top of pay and conditions, some companies go a stage further and initiate an incentive and rewards programme – (mostly) gone are the days when a team leader would, on a whim, do a floor walk waving a wad of bank notes as motivation! Nowadays, incentives and rewards are structured; a consistent, reliable, engaging programme with a measurable ROI. My own experiences of working in call centres are extremely diverse. In my first post, I was given a phone book and a telephone and told to get on with it. This was a while ago, admittedly, and I was eager to please, so I did, in fact, just get on with it. For a short time at least! At the risk of sounding flippant, it’s worth mentioning that, perhaps contrary to the beliefs and assumptions of the general public, call centre staff are emotional and aspirational. They are also competitive and driven. All these needs should be met by the employer to get the most out of them – including loyalty and commitment – and can be using incentives and rewards. Some call centres are still using ad hoc rewards, like the chap waving the wad of cash. The problem with ad hoc rewards is not everyone will be a winner – your star representatives will get the prizes time and time again – which could actively demotivate the rest of your team. A structured approach will ensure everyone can be a winner. For example, around 20% of your salesforce will always make a sale. Using a points-based programme means everybody is equal in the race for rewards and gets something, while those who sell more will get better rewards. So, going back to questions 1 and 2 above about how to tackle attrition in this sector: while pay and conditions greatly improve the strength of the services sector, including call centres, they will not be enough in the long term, in an increasingly competitive marketplace that is already wrong-footed simply by the nature of the job. Recognising and rewarding staff to make them feel useful, proficient and valued will be a necessary requirement.